Homemade No-Bake Granola Bars - A Life From Scratch. Ok, we already know you’re that awesome mom who’s got bus stop cookies going from time to time. 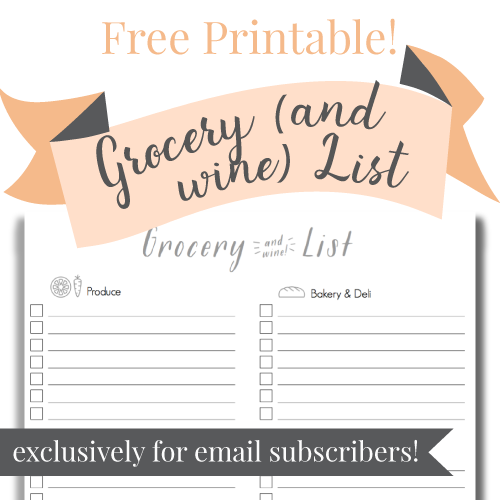 How about upping the health factor while still maintaining all the sprinkle and colorful fun? 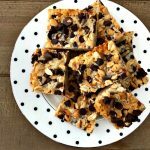 Watch your little’s eyes widen when they arrive home from school and find these no-bake granola bars! They’ll get excited about the rainbow sprinkles and mini chocolate chips. 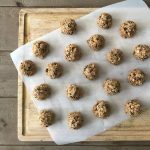 You’ll get excited about the whole grain oats, flax seed, minimal sugar, and the fact that they are gluten free. Obviously that means they are healthy. Oh and hey! 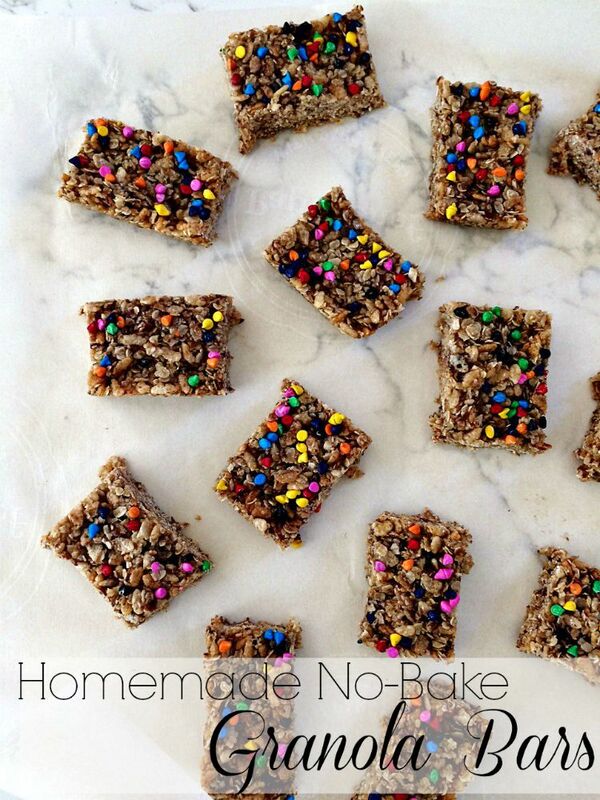 These are no-bake granola bars. Could not be easier. A win for everyone, I’d say! Whip some up today. Bring a saucepan to medium heat and melt your butter. After melting the butter, add your maple syrup, honey, brown sugar, vanilla, and sea salt and stir to mix. Turn heat to low, simmer until bubbly, then whisk and remove from heat. Next add the flax, oats, and cereal and stir until the dry ingredients are fully coated. Fold in your chocolate chips and pour into a 9X9 square pan. Using a spatula, press the mixture down, then top with rainbow chip sprinkles and press down gently so they will set. Chill in fridge for 1-2 hours, this will help the bars cool and set. Remove from pan using foil/parchment and transfer to a cutting board. Cut into rectangular bars or squares and enjoy! These look great and just what my kids would enjoy. Thanks for the recipe. Stopping by from Whimsy Wednesday. Pinned! 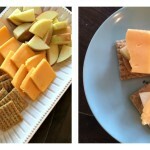 I am always looking for a great homemade snack. Thanks for sharing on the #HomeMattersParty this week. I hope you join us next week. What a delicious looking snack, I love the rainbow chips!